Continuing the Discreet City Extreme Workout Series, professional advice on how to get your body looking right.I first discovered masculine 28-year-old British actor Reggie Yates when I saw him in his brief stint on the UK science fiction series, Doctor Who. Attractive black actors with great smiles don’t easily disappear from my radar. Turns out that Reggie has been acting since he was 10-years-old and still works regularly to this day. Not only did he recently star alongside Discreet City fave Ashley Walters in the horror-drama film Demons Never Die, he also hosts the UK version of The Voice and provides the voice of a Rastafarian mystery solving rodent on the children’s animated show, Rastamouse. When he’s not dating beautiful women like singer Kelly Rowland and model Jourdan Dunn, you can also hear Reggie’s great voice on his very show on BBC Radio One. 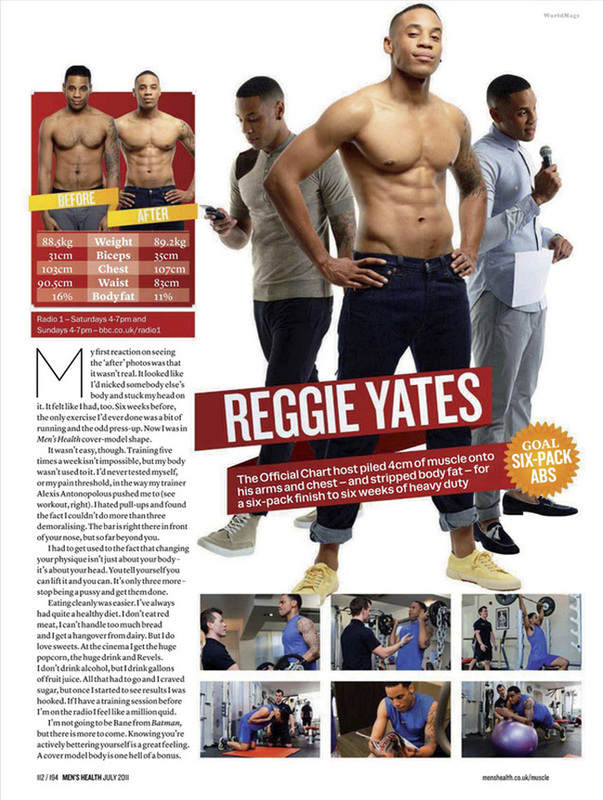 This time last year, Reggie took on Men’s Health Magazine UK’s “Celebrity 6-Pack Challenge.” In a mere six-weeks Reggie faced the physical task of getting into the best shape of his life. When he began, Yates was 5’11” 186lb with 16% bodyfat and a 35” waist and had never even worked out before. 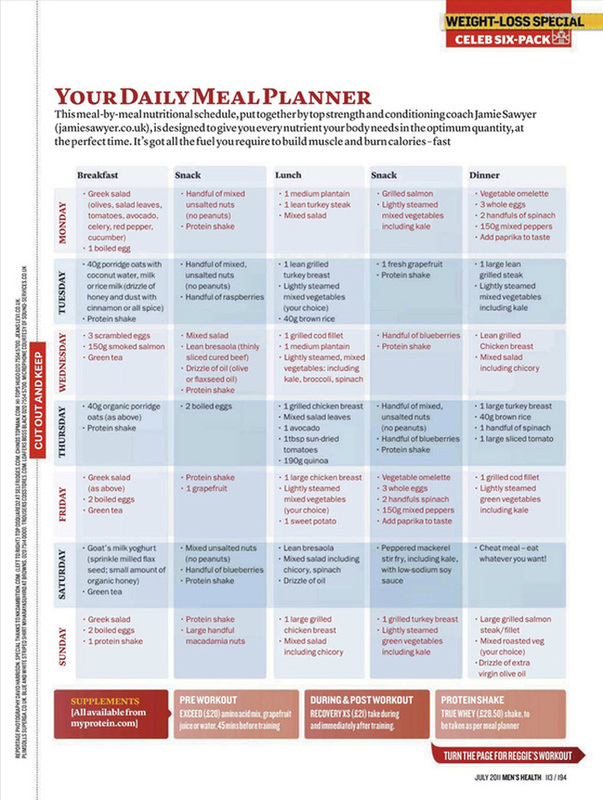 He hit the iron 5-days-per-week and cleaned up his diet, eliminating all sugar and fruit juices. By the end of six weeks, he weighed in at 187lbs of lean muscle, 11% bodyfat and now had an amazingly slim 32” waist. If you want to know how he did it so you can look the same by the summer, keep reading! If Coming Out Is Easier For Millennials, Why Are So Many Still Closeted? The First Cypher Avenue Live Podcast This Saturday! I have a questions when you continue to workout and get more toned in the mid section do you tend to lose the body hair or do guys just shave it off for a cleaner look?